You know how some bloggers write about their personal life? And folks on social media keep us all up-to-date with every riveting second of their life? Uh uh. Not me. I’m a Scorpio. We don’t share. But during my Kickstarter campaign for The Ark Animal Tarot & Oracle Deck Spirit told me it was time to share my “Divorce, Unicorns, and Rainbows” story. A story only a handful of people knew – until now. Oh, and before I forget, to the friends who urged me to share this story because “it could help so many people” – I’m rolling my eyes at you. Right now. In April of 2018 I went through a divorce. A painful divorce. Is there any other kind? Divorces don’t come out of nowhere and mine was no exception. During its six month death rattle Unicorns and rainbows kept popping up. They were EVERYWHERE. Stranger yet, they ‘happened’ to show up every time my heart shattered into one more tinier-than-the-last fragment. This was a lot since by the end of the divorce my heart was pretty much a pile of sand. Not only could I not understand why those sparkly little bastards kept appearing but, after a while, they irked me. Really, really irked me. I mean, I like Unicorns and rainbows as much as the next woo woo person but I’m not a nine year old. Further, I was just trying to get through my days without having a complete breakdown. 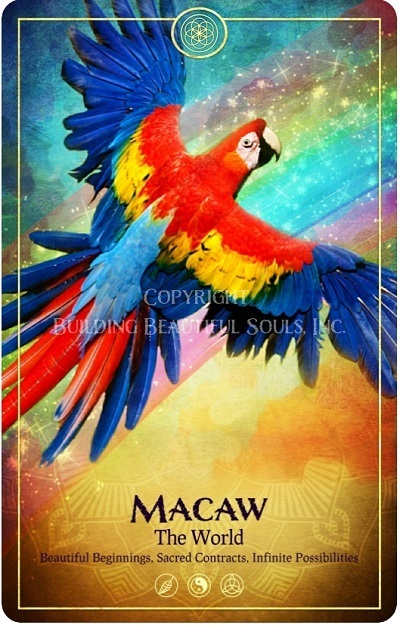 For crying out loud (which I did a LOT during that time) I was trying to run my business AND create my opus – The Ark Animal Tarot & Oracle Deck. Now, because of the big ‘D’ I had to get out the Jaws of Life and extract myself from a life I’d worked for ten years to build, shop for and buy a house, pack, move, and more. I’ve never had a break down before but if there were ever going to be a time – that was it. The Unicorns’ and rainbows’ cheerful colors and positive omens taunted me. Oh, how I wanted to unfurl my Scorpio stinger on each and every one of them that dared bespeak of better days ahead. I repeatedly rejected their messages of hope and healing. 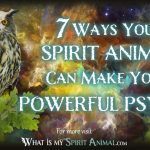 Your Spirit Animal Will NEVER Give Up On You – So Don’t You EVER Give Up On Yourself! 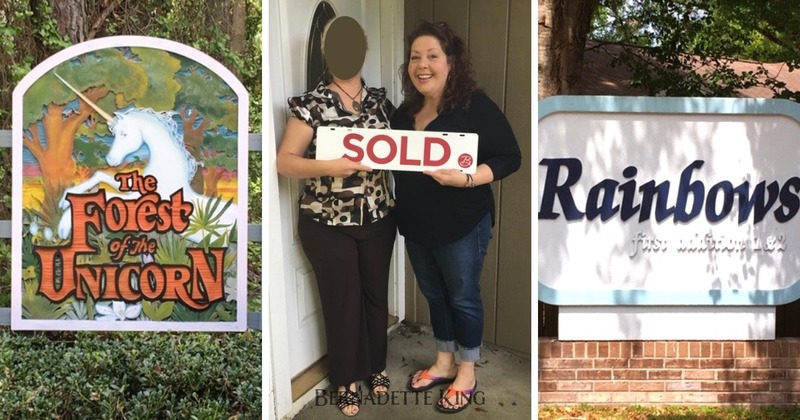 I knew it was time to share my story when a beautiful soul named The Amazing Dyane brought me messages from the Unicorns – and she didn’t even know she was doing it! During the Kickstarter campaign for The Ark Tarot, Dyane was generous enough to back project and she reached out to interview me for her YouTube channel. In an instant I fell in love with her! The Amazing Dyane is really amazing. She lives her life out loud and in techno color! She does what she wants. Wears what she wants. Says what she wants. Dyane is the epitome of wild and free! Well, when we started the interview I almost fell out of my chair! Dyane had been guided by Spirit to choose UNICORN energy and medicine to work with us during our time together. She had four Unicorn oracle cards already pulled. She had her Unicorn wand to wave all around and spread Unicorn magic everywhere! That’s when I knew. It was time. Below you’ll find the video interview. The story of my divorce and what Unicorns and rainbows has to do with it is revealed in the first ten minutes. The Amazing Dyane was as shocked as I think you’ll be! I really hope you watch the whole interview, though. Dyane is so wise and there are tons of messages I just know will help you wherever you’re at on your path right now. If you wanna’ know even more personal junk, scroll down below the video and find out how The Ark Tarot Deck worked with the Unicorns and rainbows. Happy endings really do exist, y’all. Your pot of gold IS at the end of your rainbow. I figure since I’m blabbin’ personal stuff I might as well add this, too. 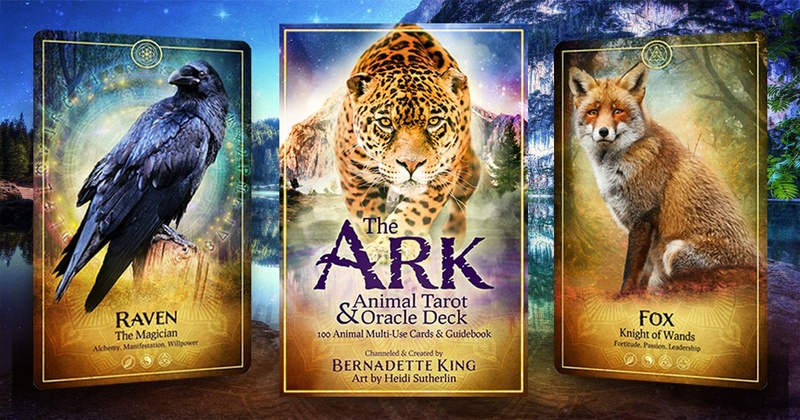 If you’ve backed The Ark Animal Tarot & Oracle Deck on Kickstarter or have seen the video, you know my primary goal, my greatest wish is that The Ark Tarot become a best seller so I have more resources with which to help and save the animals of our world. It’s taken two years to build The Ark. And from January of 2018 to April of 2019 it’s the animal allies who helped and saved me. Divorce, no matter how amicable, is HARD. Dismantling a life is a thousand times harder than building it. 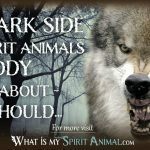 At first I was terrified that because of my personal drama Llama I wasn’t going to be clear or present enough to do right by the animal spirit guides. As always, I asked for support and the animal allies came running, swimming, flying, crawling – you get the picture. Each time I was in a painful place just the perfect animal would show up and declare THEY wanted to board The Ark. 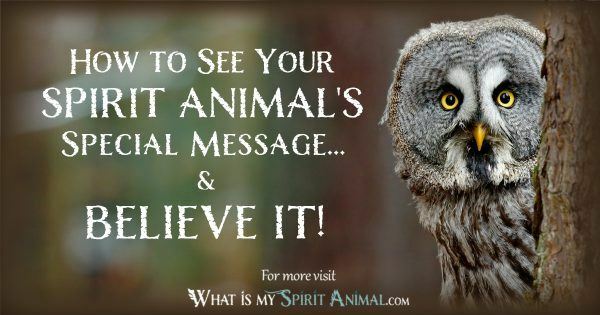 It took me a while but I finally realized the animal whose medicine and energy could help me at that very moment is the one who appeared. I’d be looking for an Eagle and Rabbit would appear to remind me that I was smart enough to have planned for all possible outcomes and it was going to be OK. I would be safe. One day I was looking for a Fly and thinking to myself, “This is how I feel today. Like a Fly about get splatted.” And out of nowhere a Giraffe appeared to tell me to lift my head up and see the big picture – to rise above. If it hadn’t been for the animals of The Ark I just don’t even know how I would have made it through the last year. I hope you consider buying The Ark. 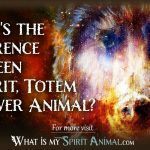 Spirit, Totem, and Power Animal Energy is extremely potent energy – when you’re not a dufus like I am and ignore all the signs. 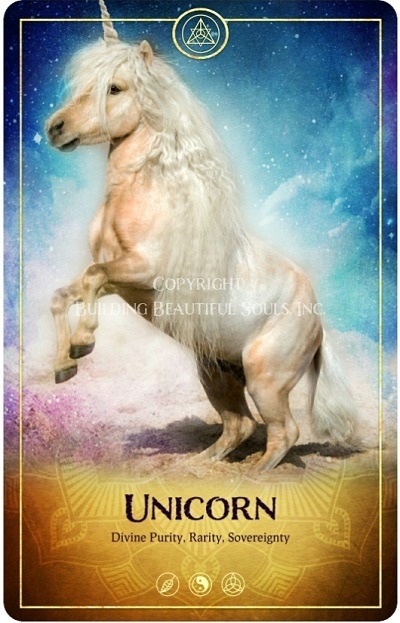 Click to read all about Unicorn Meaning & Symbolism. Please support Mimi’s art! And, if you’re a budding artist her tutorials on YouTube are incredible as are her online courses! Awww…thank you Dyane!Really appreciate you!